At the October Christmas Cards Class, we had some fun with Shimmer Paint and the Beautiful Blizzard Stamp Set. 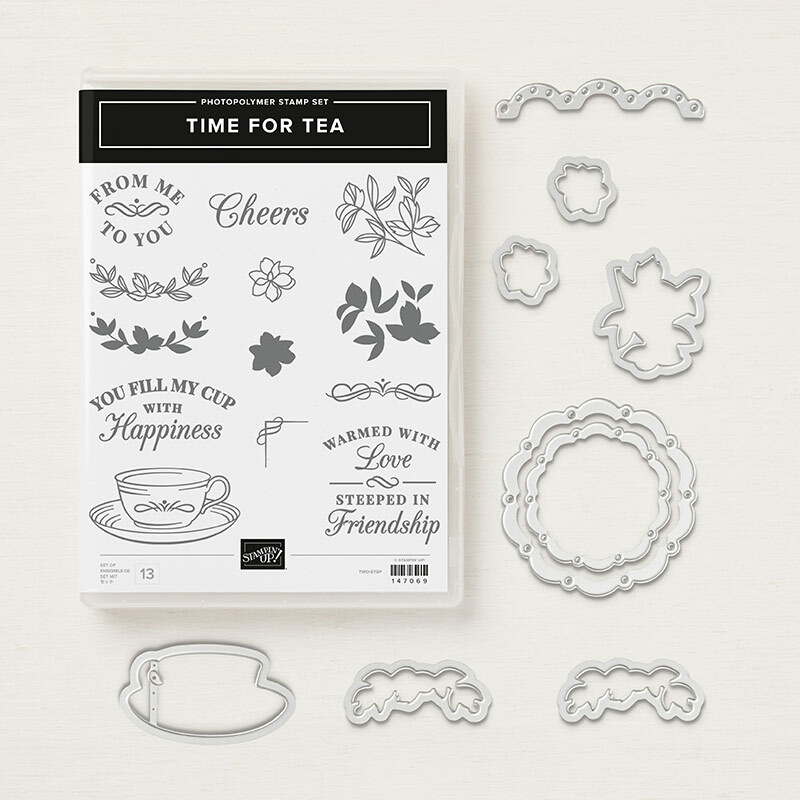 This Stamp Set makes gorgeous Christmas cards quickly and easily! I decided to use a combination of Pool Party and Night of Navy. First we stamped the “sploosh” from the Beautiful Blizzard Stamps Set onto Thick Whisper White Cardstock. In a Stampin’ Spritzer filled about 2/3 with rubbing alcohol, I added a couple of drops of Frost White Shimmer Paint. We lightly spritzed the “sploosh” images with that mixture, then set it aside a couple of minutes to dry. After it was dry, we stamped the snowflakes in Night of Navy. I also stamped the sentiment in Night of Navy. For another “sparkly” layer, I added a couple of rhinestones. Lots of snowy beauty! I also used the Pool Party and Night of Navy color combo with the second card. The snowflakes are from the Colorful Seasons Thinlits Dies set. I used Champagne Foil paper. 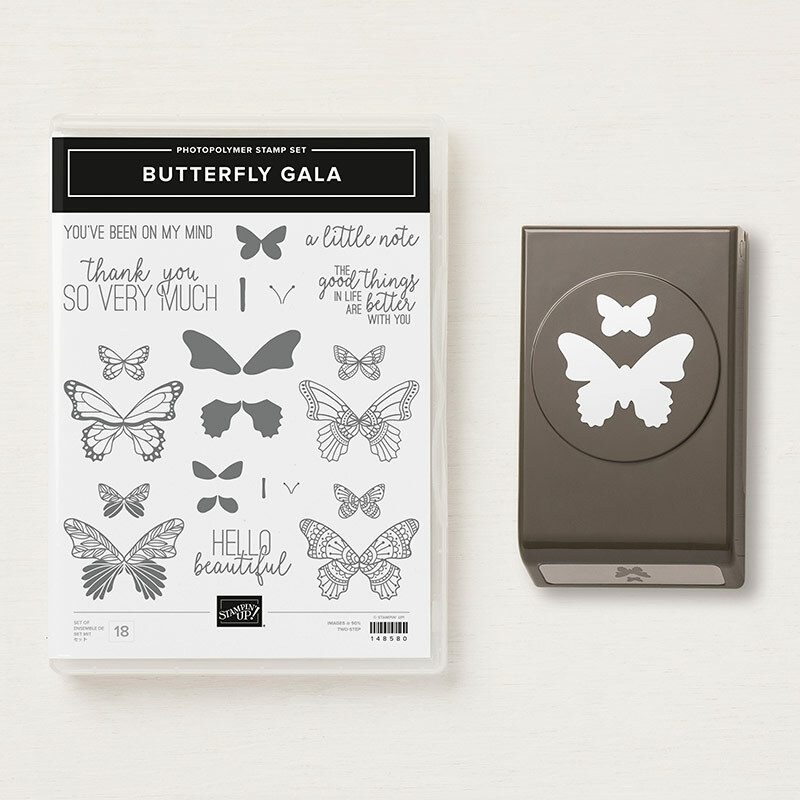 Sentiment is stamped in Night of Navy and punched out using the Everyday Label Punch. Beautiful Blizzard is a perfect holiday stamps set, and it has a coordinating die to create even more projects! Get the Bundle on my online store and save 10%! For this card, I decided to go with the classical elegance of red, black and white. I used Real Red Cardstock for the background, then the Cable Knit Dynamic Textured Impressions Embossing Folder for the top layer. The sentiment from Timeless Tidings is stamped in Real Red and mounted on Real Red Cardstock cut using the Starburst Punch. Red Rhinestones and Basic Black 3/8″ Shimmer Ribbon were the perfect finishing touches. The Festive Farmhouse Designer Series Paper is just perfect for fall and Christmas projects, and I love this plaid! I used the Pinewood Planks Dynamic Textured Impressions Embossing Folder on the Cherry Cobbler and Crumb Cake Cardstock to add some depth and dimension. The sentiment from Beautiful Blizzard is stamped in Cherry Cobbler. Come join the fun at the LAST Christmas Card Club Class (for this year!) on Thursday, November 1st, 6:30-8:30 PM. You’ll create 8 gorgeous Christmas cards, envelopes included. Cost is $15. RSVP by Tuesday, October 30th via phone, email or Facebook so I can be prepared for you! 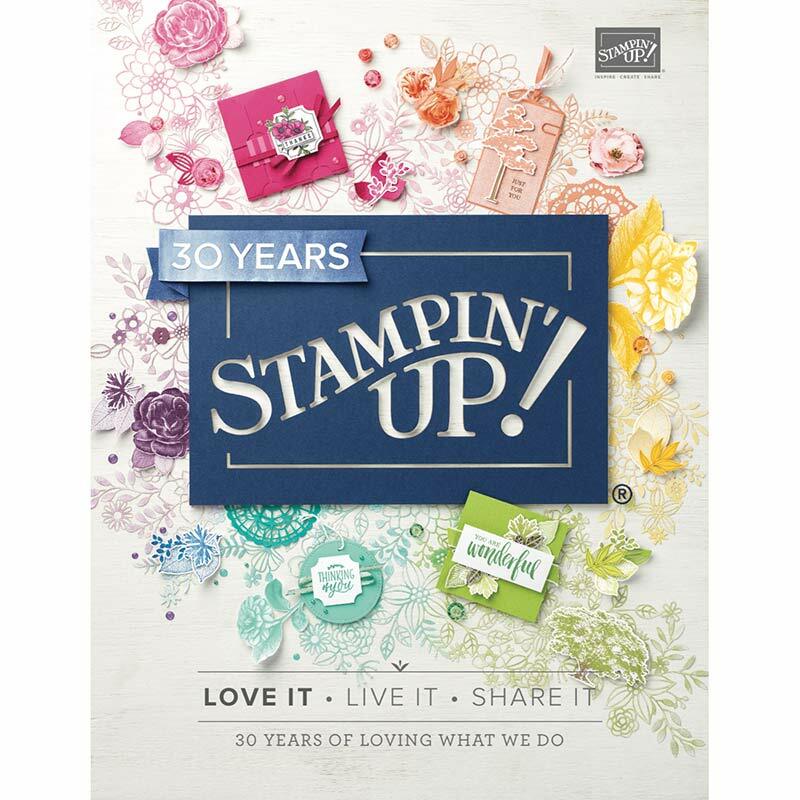 Come join Stampin’ Up! and the FUN Crafting on the Hill Team when you purchase the Starter Kit Ultimate Bundle! Lots of fun cards at the October monthly Fast and Fabulous Cards Class. We used two new products found in the 2018 Holiday Catalog, the Tin Tile Dynamic Textured Impressions Embossing Folder and the Bright Copper Shimmer Paint. Crafty, creative FUN! I used a 5″ X 3 3/4″ piece of Crumb Cake Cardstock and ran it through the Big Shot using the Tin Tile Dynamic Textured Impressions Embossing Folder. It was beautiful just like that, but I really wanted to use the Bright Copper Shimmer Paint to make the pattern pop. I mixed a few drops of Soft Suede reinker and a couple of drops of the Bright Copper Shimmer Paint, then used a Sponge Dauber to sponge it randomly over the Crumb Cake. Love the shine and shimmer it created! I mounted it on a 5 1/4″ x 4″ piece of Crushed Curry Cardstock, which was mounted on a Very Vanilla Thick Cardstock base. The sentiment is mounted on a piece of the Tea Room Specialty Designer Series Paper. We used Lovely As A Tree, one of Stampin’ Up’s oldest stamps sets, to create another fall card, stamped with the Tuxedo Black Memento Ink Pad. Again, I used the Sponge Daubers in Grapefruit Grove, Cajun Craze and Daffodil Delight for the fall colors on the trees, then sponged Mossy Meadow and Crumb Cake for the grass. It’s mounted on Cajun Craze Cardstock. 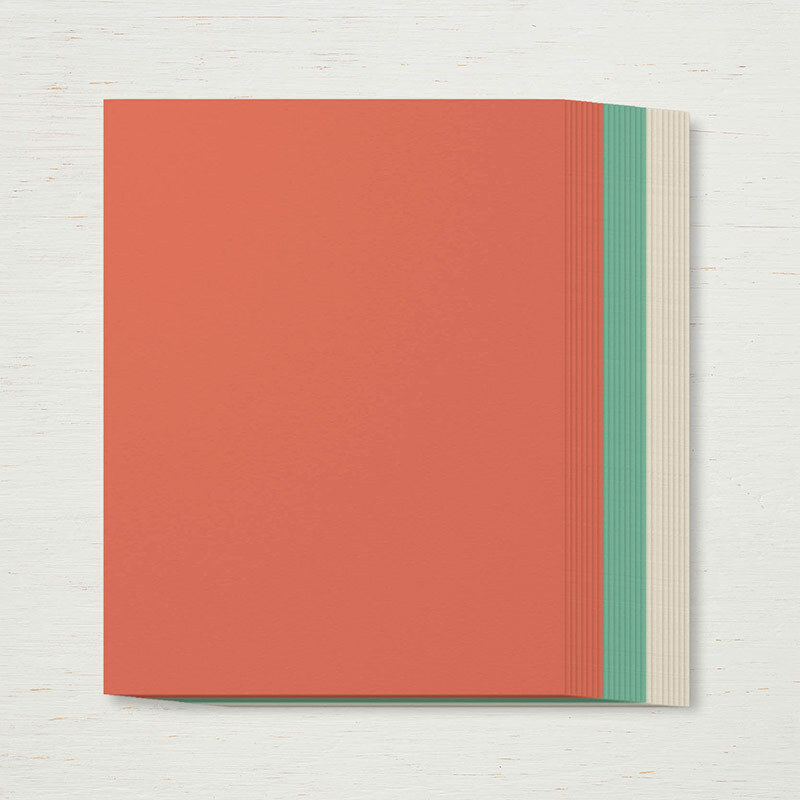 The Rooted in Nature Designer Series Paper at the bottom is mounted on Mossy Meadow Cardstock and the Petal Palette Sentiment is stamped in Mossy Meadow. For the third card, I went with something totally different and totally vintage. For many years, I’ve loved blue and white china and even have a blue and white plate inherited from my maternal grandmother, which I still treasure. 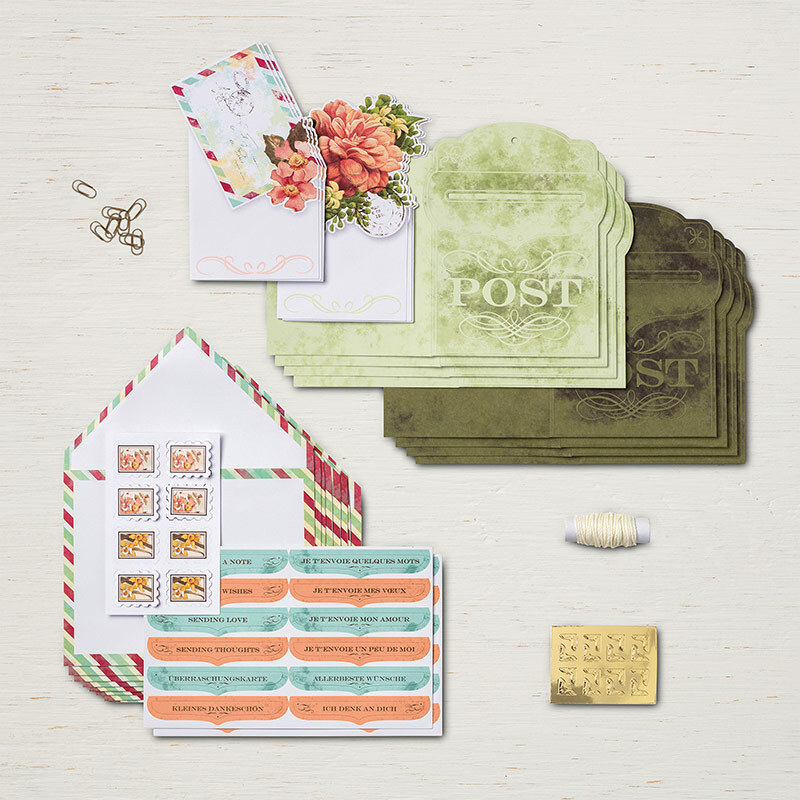 So when I first saw this lovely Very Vintage Hostess Stamp Set in the 2018-2019 Stampin’ Up! Annual Catalog, I knew I had to stamp it in blue. The new InColor Blueberry Bushel is the perfect blue! I stamped off the lace images, but stamped the flowers and sentiment full strength, then mounted it on a piece of scalloped oval Blueberry Bushel. This Very Vintage Stamp Set is available to order with any $150 order, OR if you host a party for me and have $150 in sales. Contact me to talk and get your party on the books! This is my monthly Cards Class held the second Tuesday of each month. Come join us for the November monthly Fast and Fabulous Cards Class. 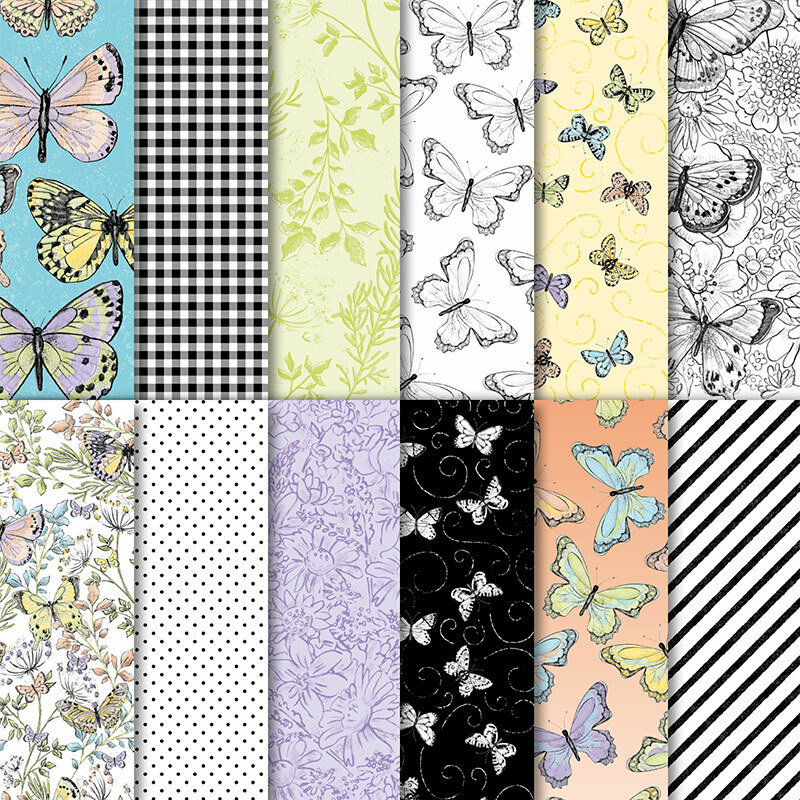 Make 6 cards, 2 each of 3 designs, envelopes included. Cost is $12 or class is FREE with a $20 Product Order placed through me. Please bring scissors and all adhesives. I do have SNAIL double sided adhesive available for purchase. RSVP by Monday, November 12th! Fall weather is frequently a long time coming here in the beautiful mountains of North Georgia. But when it does arrive, oh how spectacular! We’re finally getting our first taste of cooler (below 90 degrees!) temps and it’s wonderfully refreshing. One of the things I most enjoy about cooler weather is sipping on hot tea. Guess it’s my British and Scottish heritage, but hot tea has been a favorite my entire adult life. I even have an small collection of lovely china tea pots that just make me smile. So, naturally, one of my favorite suites is the Tea Room Suite. Recently I held a Tea Room Suite product based class, and the ladies really enjoyed creating with this beautiful Suite. This 4 x 4 card was made using Coastal Cabana Cardstock and Stampin’ Ink. The flower was stamped in Calypso Coral. I really wanted to feature the Tea Room Designer Series Paper in this card. 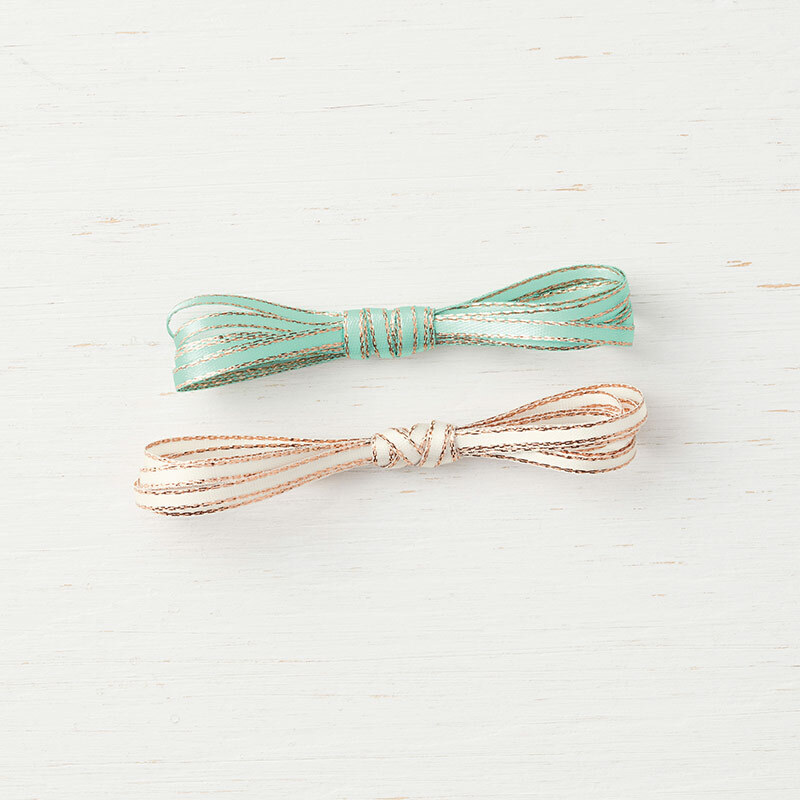 The Tea Room Ribbon Combo Pack is the perfect accent! 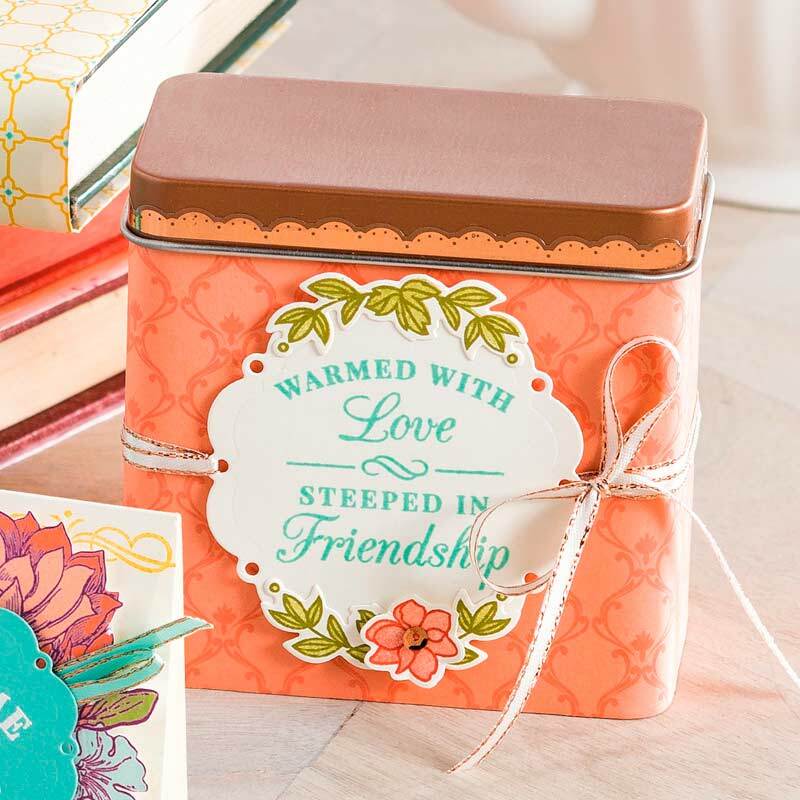 The Tea Room Stamp sentiment is stamped in Coastal Cabana and the tea cup is stamped in Calypso Coral. 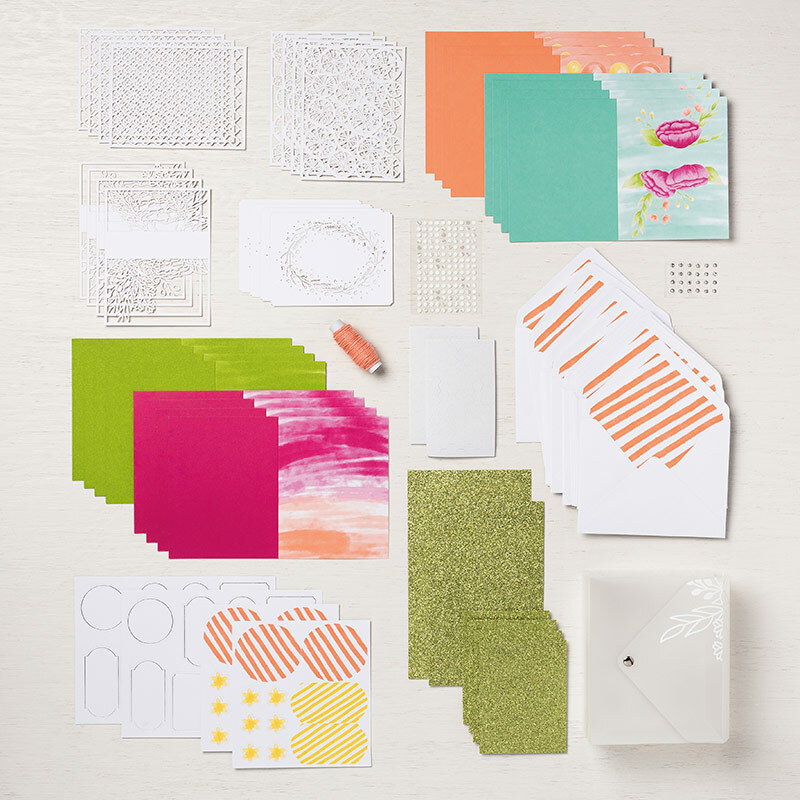 The Tufted Dynamic Textured Impressions Embossing Folder coordinates so perfectly with this Suite. This was an alternate idea I made using the Colored Doilies. The coordinated Tea Room Memories & More Card Pack made it quick and easy to coordinate even more gorgeous cards! A bargain at only $10! I will be a vendor at the Holiday Market Place here in Jasper on Friday, November 16th and Saturday, November 17th. Come see me to get a FREE gift! This beautiful November Paper Pumpkin Kit is going to be a spectacular “One-Stop Box for the Holidays!” Go here to subscribe by November 10th to get YOUR Kit! We had such fun at the July Fast and Fabulous Cards Class creating these two cards using the High Tide Stamp Set. So summery! Of course, these are just two of the three designs we make in this monthly Cards Class. This is one of the very first stamp sets I thought about when I first heard about the Stamparatus. It really helps stamp these perfectly! The Stamparatus is TRULY one of the best stamping tools ever! We use it at almost every event, so come try it out if you want to know more! This card was created using Coastal Cabana, Soft Suede and Crumb Cake Cardstock and Stampin’ Ink Pads. I added a small strip of the Wood Textures Designer Series Paper because it coordinated so perfectly with this waterfront theme. For the second card, I used Crumb Cake Cardstock for the base and Crumb Cake Stampin’ Ink for the 2 step lighthouse stamp. 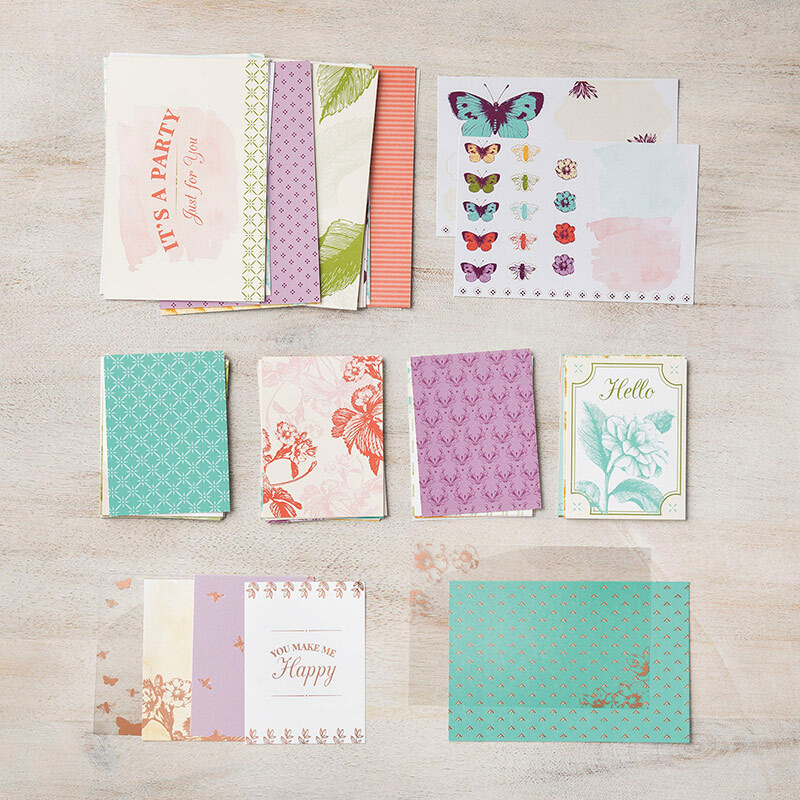 The Pacific Point Cardstock is stamped with a stamp from the Artisan Textures Stamp Set from the Garden Impessions Suite. The sentiment is stamped in Pacific Point. I love this sentiment! 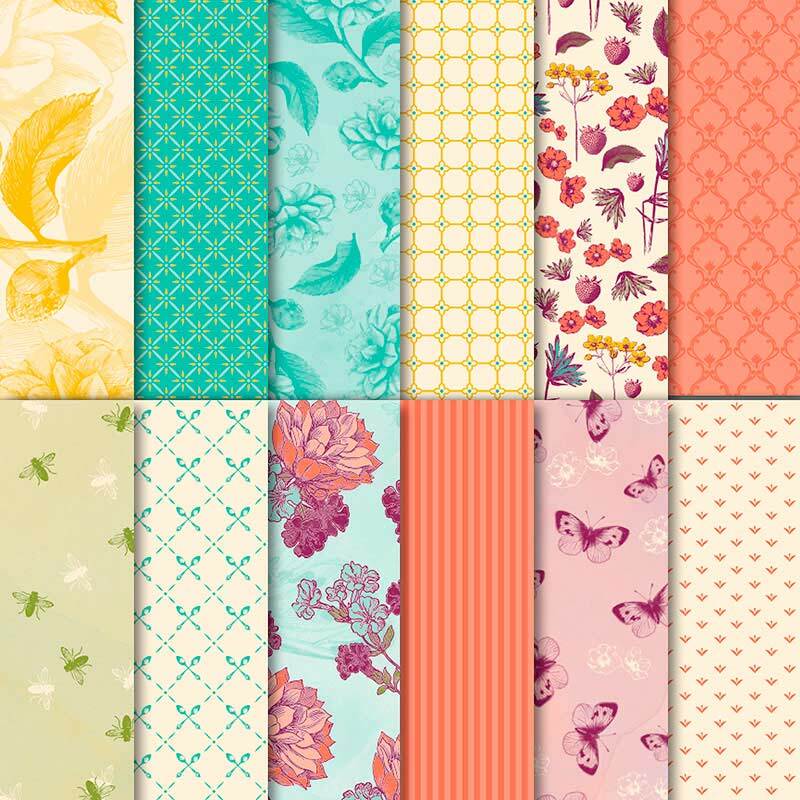 High Tide is a fabulous stamp set with beautiful images and great sentiments! Come join the fun at the August Fast and Fabulous Cards Class! For EACH $50 product order (not including shipping and tax) that you place in August, you’ll receive a $5 BONUS COUPON to spend in September! But this offer is only through August 31st, so get those orders in now. This is a great time to stock up on cardstock, inks and adhesives! 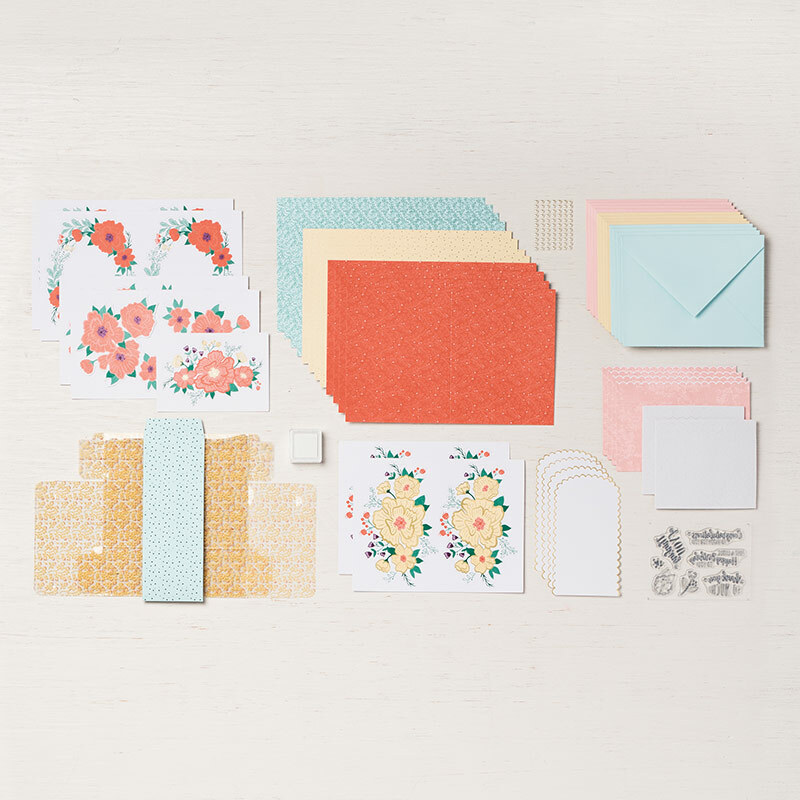 Come join Stampin’ Up and the Crafting on the Hill Team when you purchase the Starter Kit Ultimate Bundle!